Looking to take the guesswork out of freight deliveries? UrgentTrucking.com offers quick, quality ground delivery services all over the US and Canada. As an urgent trucking company with extensive industry experience, UrgentTrucking.com offers speedy, safe solutions to your most serious shipping problems. Benefiting from a vast coverage network, we can load and ship your items in as little as two hours, allowing us to meet even the tightest deadlines. Combined with our safety precautions and quality customer support, this lets us uphold the highest standards of speed and inventory safety on all deliveries, no matter the item or client. A Shipment Fails - Whether due to equipment failure, fuel shortages, traffic, or weather, scheduled shipments may fail to reach your destination on time or even at all. 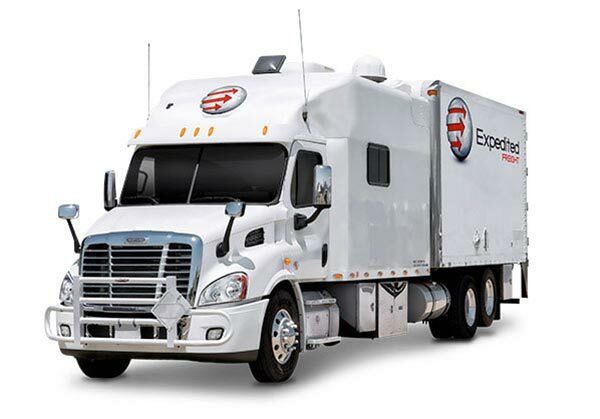 It is thus essential that you find an urgent trucking company that knows how to avoid traffic and has a contingency plan for other failures. Your Needs Change - You may suddenly have to bring in new supplies, whether to fix some acute problem or to take advantage of a new opportunity. Your carrier must thus be flexible enough to complete new shipments on short notice. Customers Make Unreasonable Demands - Certain customers may demand that you ship your products to them more quickly than usual. Unless you’re willing to lose those customers, you must find a carrier with the flexibility to respond to such sudden changes in demand. UrgentTrucking.com has the skills and resources to respond to all of these issues and more. Thanks to our extensive experience across a slew of industries, we have no trouble resolving emergencies and keeping your supply lines running smoothly. Courteous and comprehensive customer service from a single centralized source you can contact at any time. From the moment we set out on the road, UrgentTrucking.com keeps an eye on your items. Using our sophisticated tracking equipment, we can pinpoint the location and likely arrival time of your goods at any moment. This means we can give you precise updates whenever you call our customer service center. It also empowers us to guide our vehicles, steering them clear of any obstacles that come up along the way. For more information on our freight services or to get a free quote, visit UrgentTrucking.com or call (800) 713-1000.